Comfort is a priority when talking about your house and business during the change of the seasons. And when we say comfort, it usually means an AC system that makes you actually happy to be inside your building. But comfort comes at a cost.. So it has to be efficient, helps to prevent respiratory diseases when the humidity is high or the air is too dry. One way to take care of your family is to make sure that they are exposed only to clean, pollutant-free indoor air. This can be achieved through the help of an air cooling system that has an excellent filtering process. 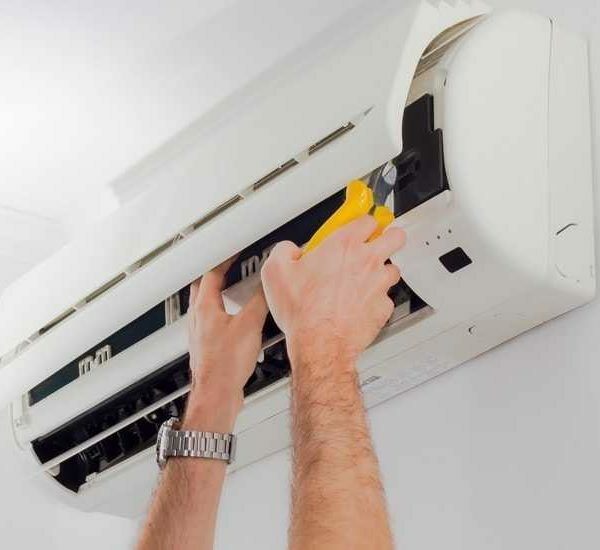 To have an air conditioning system that will not disappoint you in times when you need it the most, start off with a high-quality install in Kingsburg. Installation requires a lot of work from the technician such as assessment of the property, planning in preparation for the installation day, and of course, coming up with the right estimation on the cost and hours to be spent completing the task. When any unit is not installed properly, lacks proper planning and preparation, or done in a rush; chances are you may start having issues with a non-functioning home AC unit early on. When everything is setup and ready to run, it’s time to test the efficiency of the system. Most people will go for newer units with better efficiency ratings. This is because installing a new air conditioner is an investment. And what’s the better way to get the returns of your investment? Monthly savings on your utility bill! To find the best system for your home, simply give us call for a consultation. Nobody looks forward to waking up in the middle of the night because of an AC that has stopped working. Just the thought of it is dreadful enough. That is why an around the clock air conditioning service provider in Kingsburg is so important. We never know when an emergency can happen, but we definitely need to anticipate any issues that may occur when the system works full time throughout summer, and eventually prepare such situations. Whether it’s an emergency late in the afternoon when you’re having a power nap or in the dead of night when you’re finally snoring in bed, you have to know who to call. Marthedal Solar, Air & Heating – Fresno Air Conditioning answers to different service calls, such scheduling for a regular maintenance check, conducting assessment to find out possible issues with your system, or an emergency situation with a broken air conditioner. Our staff of technicians have been on the field for a long time, skilled and experienced to come over and help you resolve any cooling service you might have. In winters, some days can be very cold in Kingsburg and our general area. A fully functional heating system is all you need to last through winter in comfort and in good shape. So long as it works and doesn’t make any weird noises or shuts down and restarts right away all of a sudden, you’re pretty much covered throughout the season. However, a unit can only function properly if it has been checked, cleaned, and tuned-up before bringing it to life for the cold months. Without maintenance, prior to use, it can become a ticking bomb – at any given moment it can start malfunction or worse, breakdown completely. Don’t take a risk. Schedule for a regular maintenance check before the start of the winter season. Every equipment has a breaking point. More often than not, heaters break or malfunction due the effects of wear-and-tear over time. It’s inevitable. However, malfunctions and breakdowns can be prevented. How? A regular furnace tune-up is beneficial to your unit. During tune-ups, the technician will inspect lose wiring, screws, and other components to tighten them back. Parts that need cleaning will be thoroughly cleaned and parts that need replacement will be replaced. A good example is a blower wheel. When the blower wheel is dirty, it becomes less efficient and your energy bills can rise up. You don’t want that because you want to save. There are many kinds of heating and cooling equipment and your best choice will depend on how many people lives with you in the house or how many rooms are there in your home. There are several different sizes and brands and with a good support from an expert, the best option for your family can be addressed. What do you know about solar power? Have you heard about solar energy in California? If you haven’t seen a system locally, then now is the best time to learn more about it. Solar power is an energy harnessed from the sun, which is renewable, inexhaustible, and doesn’t pollute the environment. Many people are becoming more aware of the positive attributes this source of power has. Plus, the long-term savings is very appealing. The best benefit of the solar energy, among many others, is that it doesn’t emit greenhouse gases. Once you decide to take this path, you will help preserve the environment by opting not to use or burn fossil fuels. Another notable benefit is that it’s limitless so you’ll never ran out of energy at home. The solar panels will automatically harness the sun’s energy and store it for future use. Nobody likes to wait around for days or weeks to get their air conditioning or heating installed or repaired. With Marthedal Solar, Air & Heating, your comfort is our number one priority.